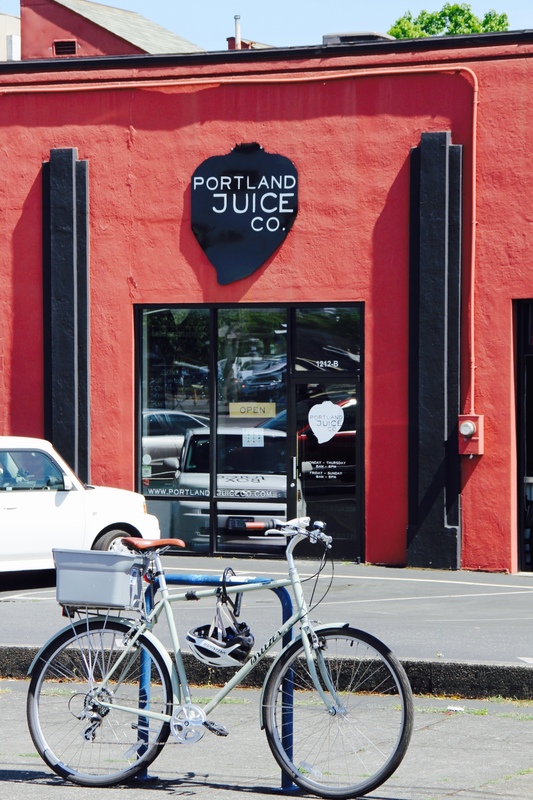 New Discovery – Portland Juice Co.
One of the best ways to boost nutrition is by adding a daily juice into your life. Now there’s a new option for those who don’t want to clean their juicer and that is Portland Juice Company! 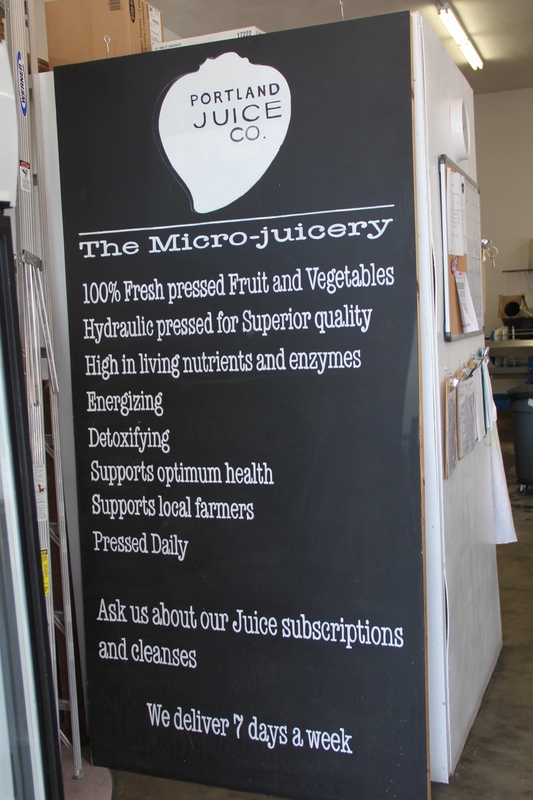 They offer fresh, cold pressed juices in 12 amazing flavors. 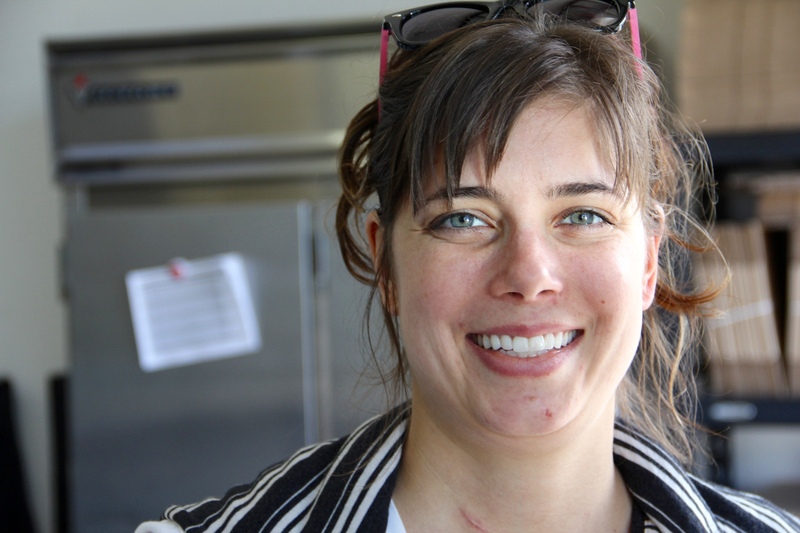 Portland Juice Co. is one of the only woman owned and operated juice companies in Portland. Liz Nolan began the company back in 2012. 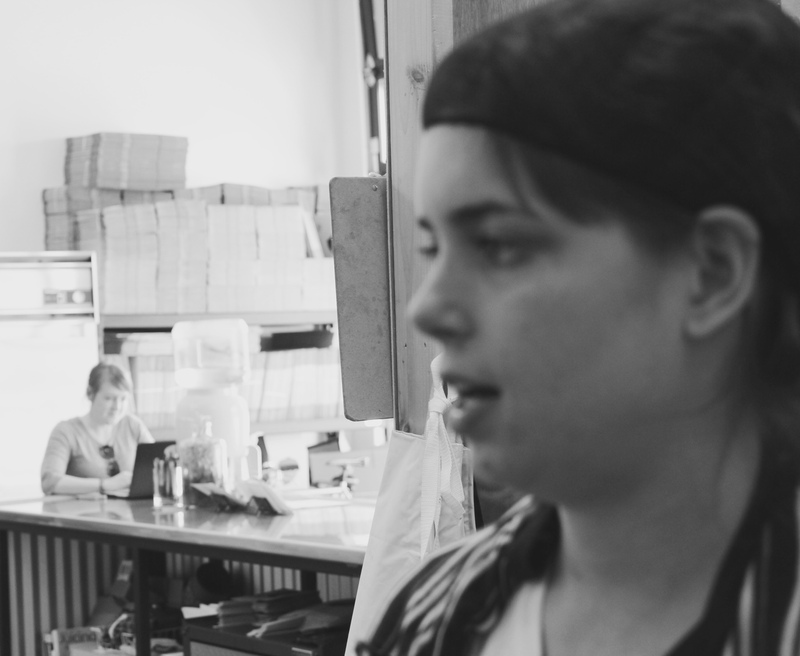 She and her business partner, Gwen, have a great team of folks who work preparing the fruits and veggies to be pressed, bottled and delivered on a daily basis. 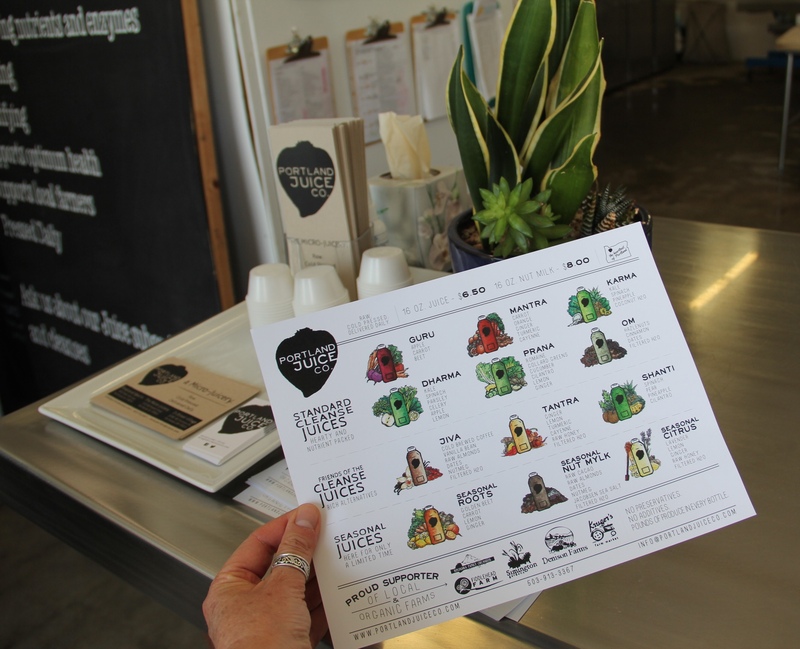 Portland Juice Co. works with local farmers to keep prices low and quality high. They start with quality fruits and veggies, using local and organic sources whenever possible, and transform them into great tasting juices for daily enjoyment as well as for juice cleansing. Their main location is at 1212 SE Powell Blvd. in Portland, Oregon. They also have three other locations around town and daily bike delivery! Orders are placed online for their various juices and cleanses. You can do their standard juice cleanse or a DIY Detox. They even have picked fun names like Karma, Prana, Om and Tantra for their juices. We did a taste test and I loved them all, with Mantra and Shanti being at the top of my list! The taste test was both yummy and fun! They offer a lot of variety. By doing cold press, no heat is used in the making of their juices, thus retaining all the vitamins and enzymes from the raw living foods. They source their produce from local farmers where possible and add no preservatives, giving you the best in quality and nutrition. They use a hydraulic pressure extraction system, which reduces oxidation and yields an exceptional juice packed with live enzymes. This hydraulic method ensures quality, flavor and effectiveness. 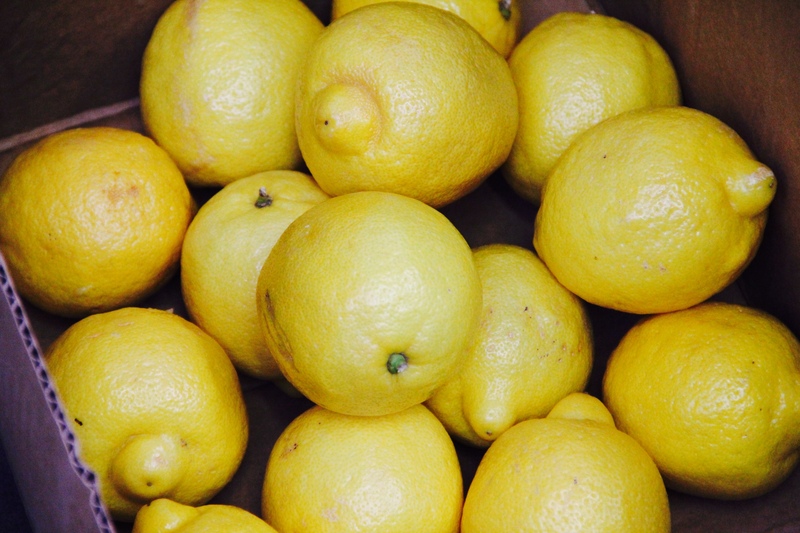 All juices are produced and bottled the same day (within 24 hours) of the delivery, and have a shelf life of 72 hours. The bottles are made of #1 PET plastic and BPA free. 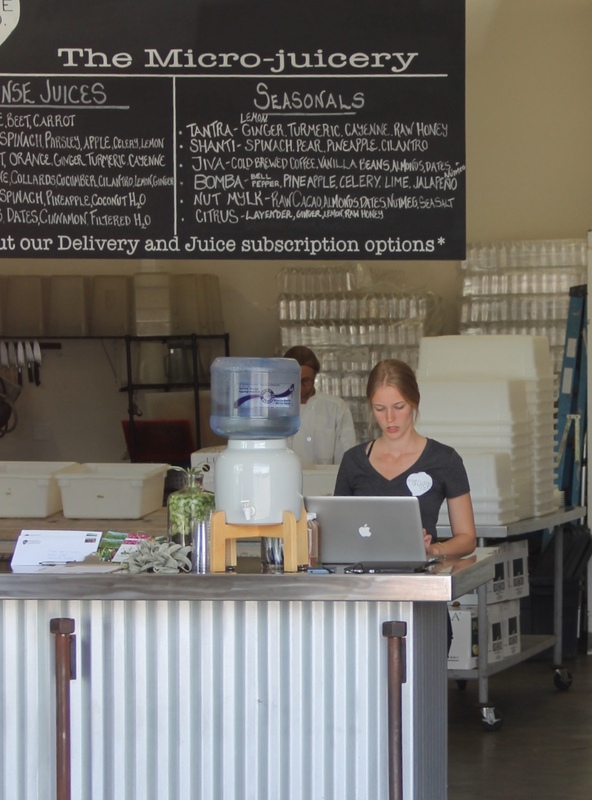 Gwen and Liz at work in the Portland Juice Co.
At Portland Juice Co. their mission is to provide 100% natural, fresh-pressed fruit and vegetable juices and juice cleanse packages, delivered to your doorstep. Their juices are a delicious, convenient way to help you achieve your desired health goals and reach optimal health. This is their factory and main location at 1212 SE Powell Blvd. It’s where the magic happens! If you haven’t already checked them out, be sure soon! Good news – for my Summer Solstice Cleanse, starting on June 20th – I will be partnering with Portland Juice Co. to offer my clients, and theirs, a new 7-day cleanse that combines the best of what we each offer. 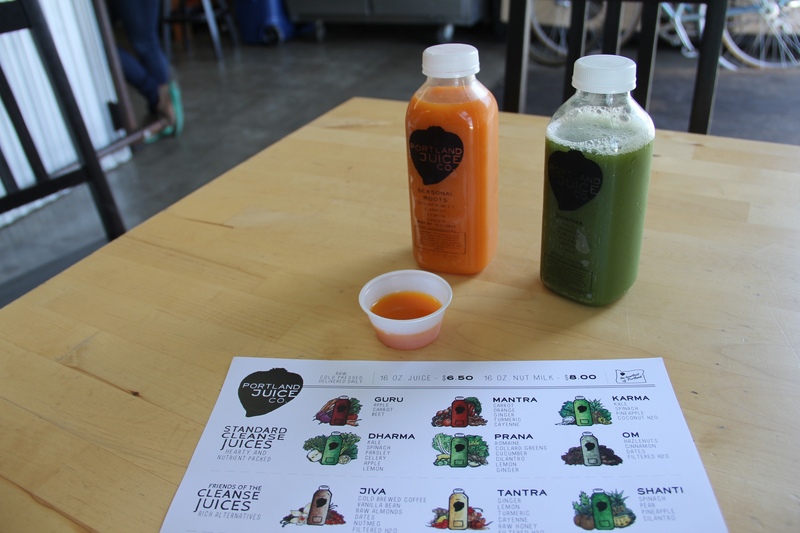 So, if cleaning that juicer just doesn’t appeal to you, let Portland Juice Co. do that for you. If you enjoyed this blog, please “follow” me via my front page so you will be emailed when new blogs are posted.